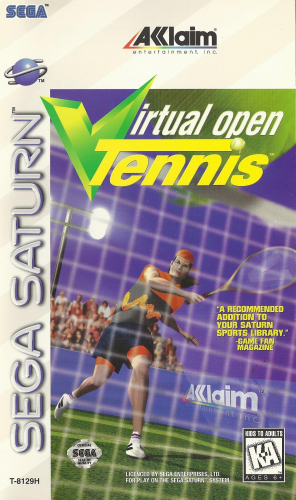 Play tennis as you would in real-life with VIRTUAL OPEN TENNIS. You can select from 10 unique players and do battle on three different surfaces: clay, grass, and hard court. Play from one to five sets in either a singles or doubles match-up. Detailed environments and realistic sound will put you in the middle of the action. Thanks to eight camera views, you won’t miss a single groundstroke, volley, or smash. Lace up your shoes and grab a racket to play VIRTUAL OPEN TENNIS.